Over the past two weeks I’ve been trying Markdown out as a writing syntax. Most of the blog posts published over these days have been written in various Markdown supported apps and programs. In this #52Tech post I will list some of the top Markdown writing apps – mobile, desktop and webapps – if you want to have a go for yourself. Markdown is a Markup language which allows you to write the syntax of formatting into plain text files, making writing up any form of notes fast from any device. Supported by more and more apps, Markdown is used by many academics, researchers and writers to produce nicely formatted html text ready for web publishing. Writing Fast with Markdown introduces Markdown with a what and why. My **Markdown** Workflows introduces my own workflow through Scrivener, other mobile apps, WordPress.com (blogging) and even Evernote with Markdown. 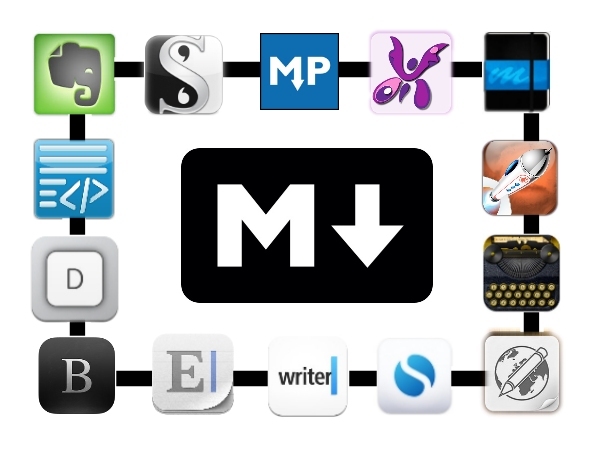 Today I’m going to list out all the apps and tools helpful in writing Markdown for blogging and writing. Although this list could be extremely large – more and more apps are supporting Markdown or extensions – this list will only include the most popular apps with screenshots of the ones I’ve used also. Note: if you want even more apps, check out the Mashable post: 78 Tools for Writing and Previewing Markdown. And for even more, do a search in your favourite app store. Use these apps for note-taking and previewing what Markdown-ed text will look like once published. These are great for practicing Markdown in also. Many offer a side-by-side type and preview display, or provide some form of real-time previewing to show how your text will look once converted/rendered to html. You can simply use these apps to prewrite full text posts, then copy and paste the text elsewhere, or some already integrate with popular applications. And – if you have a basic Markdown app on the web, and use Scrivener for your writing, don’t forget that you can bring the webpage into Scrivener and use the preview function inside (see My Markdown Workflows post for more). A simple webapp by Jon Combe – features side-by-side preview, save to text or html functions and different layout styles. This is a simple app which fits nicely into the editor display within Scrivener. (See screenshots of this in the previous post). Draft – Draft provides easy version control and collaboration for writers and supports Markdown, with rendered previews. Of special note are the Markdown to-do/tasks, which make creating lists and notes with Markdown incredibly simple, using GitHub-style Markdown syntax. Editorially – one of the newer apps, and looks more like a one panel doc. It’s main features allow for collaborative writing – there is a comments panel down the right. There are no filing and organisation features for documents, but the docs can be sent to WordPress or Dropbox. Markable.in is an online Markdown editor with side panel preview, and supports cloud storage, Dropbox, Tumblr and Evernote integration. Also supports converting html files. For Evernote you can import your notes into Markable.in for Markdown work, and export notes out from Markable.in to Evernote. Markdown Here – a browser and email extension that helps you write emails quickly with tables, source code snippets etc. It’s available for Chrome, Firefox, Safari and Thunderbird. Markdown Dingus – the official Markdown converter from John Gruber (the creator of Markdown), which allows you to paste your Markdown syntax into it and preview the resulting HTML output. The cheat sheet located on the right is also useful for common syntax. Hashify – Updates the preview live as you type with a large preview. Also has a tweet button and even a QR code generator for the result. Many blogging platforms now support Markdown (various versions and extensions) either natively or with plugins/extension files. If you do encounter problems, many blogging apps support the MD syntax and rendering into html before publishing online to your blog. WordPress.org users (standalone WP installs) can install several good plugins for Markdown. Markdown QuickTags – inserts some buttons at the bottom of the editor window. These will convert or “render” your MDed text to HTML inside your blog editor. WP – Markdown – This plug-in allows you to write posts (of any post type) using the Markdown syntax. The plug-in converts the Markdown into HTML prior to saving the post. When editing a post, the plug-in converts it back into Markdown syntax. Markdown on Save WordPress plugin – converts to html once saved. WordPress.com users (free site) can turn on Markdown from the Admin Settings–>Writing page. See the WordPress.com instructions here and here is the WordPress.com Markdown Quick Reference sheet. Unfortunately, there is no preview function internally here so you will need to hit ‘preview’ to open the post into another browser window to see what it might look like live. Also, if you’re after using some of the WYSIWYG functionality in the visual editor (say, inserting the –>More tag or uploading images etc) the combination of html and Markdown sometimes doesn’t work so well. WordPresses’ Mobile Apps (available for Android, iOS and others) also work with Markdown – once you’ve set Markdown up in Admin you can simply type using Markdown into these apps. There is a bit of a problem if you refetch a previously published to the blog post originally written in Markdown – it comes back in html only. WordPress are looking into ways around this for future development. Tumblr has in house or native Markdown support which includes the ability to send email posts written in Markdown. As I’m not a Google Blogger user, I can’t confirm if blogspot users have native Markdown support but believe this is not the case. Instead an app or tool will be needed to convert a MD post into HTML. Several tools do this, and publish to multiple blog platforms such as Blogger. Other blog platforms such as Moving Type, Hubpages etc provide either native or plugins supporting Markdown. Once you hit the Markdown button (right, third from bottom) on Blogsy you can preview your output before publishing to a blog platform. I take Markdown on the road with the following apps. These are particularly relevant for writing blog posts or simple text files which I then transfer (often via dropbox) into desktop apps for further work. Blogsy App for iPad – this is my favourite blogging app for writing and publishing blog posts. Blogsy features some heavy functions for inserting videos, images and multi-media from several web-services, and supports publishing to many popular blogging platforms such as WordPress, Blogger, Tumblr, Joomla, Drupal, Moveable Type, Typepad, Squarespace and others. And it supports Markdown which you can turn on and preview from within the app. Byword – this Markdown editor for Mac OS and iOS was already an excellent choice. But the latest version now also supports posting files to service or blog platforms – Blogger, WordPress, Tumblr, Scriptogr.am and Evernote. Drafts for iPAD (and iPhone) – Simply an awesome text editor for iOS. with Markdown support natively, provides a MD preview, and supports many other webapps such as Facebook, Twitter, Google+, reminders, lists, and Dropbox. Oh, and Evernote – either normal text or Markdown direct to Evernote. Built-in wordcount. If you have the Markdown function checked on, a special Markdown keyboard with much-used syntax symbols is provided. Extendable with actions which include support for Google search, Fantastical and Omnifocus as apps, and many others. Elements2 (iPhone and iPad) – a dedicated Markdown and Dropbox powered text editor for iOS. View, edit and share plain text documents with the data stored in your Dropbox account. You can create, view, edit and preview Markdown and MultiMarkdown files. It also features offline support, auto-saving, and word, line and character counts. iA Writer – iA Writer offers a distraction-free writing experience with support for Markdown syntax. This shows the format onscreen after a three-second pause. Copy from the preview window to paste into other apps. Also available on Mac. MarkdownNote (iPad) – live preview feature where you can preview your Markdown markup syntax to HTML. Not available through outside iTunes app stores (like mine in Australia). Notesy – Notesy is a note-taking app for iOS with your notes seamlessly synced over-the-air, to and from your Dropbox account, as plain text files. It has full Markdown support, and even comes with a Markdown-themed accessory keyboard. Simplenote – cloud-based Simplenote is a text-based note-taking application that also supports Markdown. You can write and edit in Markdown by clicking on the “i” button and mark a note as Markdown Formatted. Simplenote will then show Edit and Preview buttons. Supported by iOS, Android, Kindle, Mac or Windows official or extension apps. You can edit your original text and then preview the rendered HTML, with any links, quotes, headers or other formatting you’ve added. There is also a wealth of add-ons and extensions to enhance the power of Simplenote. Writing Kit (iPad) – Links to Dropbox and uploads images via CloudApp. Exports as text or html files. And it supports TextExpander snippets. Research facilities include word definitions and Wikipedia summaries. Writer Pro (by the makers of IA Writer) offers all the functionality of Byword, but also has syntax highlighting: highlight all the verbs, or adjectives, to help you edit out the fluff. Drafts (for iPAD) has some sophisticated options for what to do with your text. LightPaper – a simple, beautiful and powerful text editor for Android, which supports Markdown and MultiMarkdown. You can switch to Distraction Free Mode to immerse yourself completely in your current paragraph, and you can store your documents locally and sync them with Dropbox. It allows you to preview Markdown as you write it and features Markdown shortcuts to surround or insert Markdown tags quickly. Draft – Draft is a versatile text editor for Android, which lets you easily organize, edit and share all your notes via Dropbox. You can create regular plain text files as well as Markdown and MultiMarkdown files. JotterPad X – A minimalist editor with a full feature set: fonts, day/night modes, pop-up dictionary and thesaurus, publish to Dropbox or HTML, Markdown preview and more. Writer – a simple text editor for Android that supports Markdown. You can preview how the document renders, and the app stores your documents as text files on your device which means you need to transfer them manually to your computer or an online storage device. I can’t try these out, but have tried several that have iOS versions. The following is a list of popular and recommended apps for Markdown writing on the Mac Operating system. Byword – formerly this Markdown editor for Mac OS and iOS was an excellent choice. But the latest version now also supports posting files to service or blog platforms – Blogger, WordPress, Tumblr, Scriptogr.am and Evernote. iA Writer – iA Writer offers a distraction-free writing experience with support for Markdown syntax. This shows the format onscreen after a three-second pause. Copy from the preview window to paste into other apps. Also available on iOS. Marked App – Rather than being an editor, Marked is a Markdown Previewer which works with many MD editors like those listed above – both are opened and while you type and save in your editor app, Marked refreshes with a live preview of the same file. Marked opens MultiMarkdown, Markdown, Text and HTML files and previews them as HTML documents. /scriv files from Scrivener are also accommodated. Copy HTML and rich text, save a PDF or print your work. It also includes tools for handling page breaks, titles, tables of contents and more. MarsEdit – a popular Mac desktop blogging app with Markdown support and preview. Mou – a desktop app that works with a side-by-side preview pane similar to Window’s Markdown Pad. Mou publishes to Tumblr and Scriptogr.am. Scrivener – a powerful content-generation tool for writers, which offers great Markdown compatibility, allowing you to write and export your Markdown in a variety of formats including html. It does not offer previewing however, which can be worked around by adding a simple online editor/previewer into Scrivener as a webpage. Sublime Text – a powerful cross-platform and Mac text editor with, among many other things, Markdown support. It serves as a “base” application to which you can extend with plugins. Extensions such as MarkdownEditing, Markdown Preview and Smart Markdown can help to create a Markdown focused app. TextEdit – Mac OS X’s very own TextEdit, which can be used to create and edit Markdown formatted content and preview any Markdown syntax rendered in HTML. Free and comes on the Mac. TextMate – a well known text editor that supports a variety of languages through a system known as Bundles. To use Markdown in TextMate, download and install the Markdown Bundle. A post being written in Markdown Pad 2 for Windows. MarkPad – a free Windows app with side-by-side preview. Good for desktop Windows or Windows 8 including mobile. Spellchecker, and paste images in from the clipboard. MarkdownPad – a full-featured Markdown editor for Windows, with keyboard shortcuts, live previews and customizable fonts, colors, layouts and stylesheets. It supports multiple Markdown processing engines, including Markdown Extra and GitHub Flavored Markdown, with tabbed documents, spell check, auto-save and syntax highlighting. Export to HTML and PDF. Built-in wordcount. This post was written in Markdown Pad 2 for Windows. Scrivener – a powerful content-generation tool for writers, which offers great Markdown compatibility, allowing you to write and export your Markdown in a variety of formats including html. It does not offer previewing however, which can be worked around by adding a simple online editor/previewer into Scrivener as a webpage. (at time of writing this webpage functionality was not working in Scrivener for Windows). Note: for Windows I use either Resophnotes or Gumnotes apps to sync with my Simplenote cloud. Resophnotes has a portable version for flashdrives also. Sublime Text – a powerful cross-platform and Windows text editor with, among many other things, Markdown support. It serves as a “base” application to which you can extend with plugins. Extensions such as MarkdownEditing, Markdown Preview and Smart Markdown can help to create a Markdown focused app. Write Monkey – Windows zenware writing application which I listed in the #52Tech post on distraction-free writing tools also. Write Monkey offers simple writing, but with Markdown support. All of the Resources and Links profiled in this three-post series on Markdown have been captured in a Listly list for you. This list can be added to by yourself if you are aware of any additional resources or apps. Please visit the Listly “Writing with Markdown” list, vote on your favourite, and add to the list. 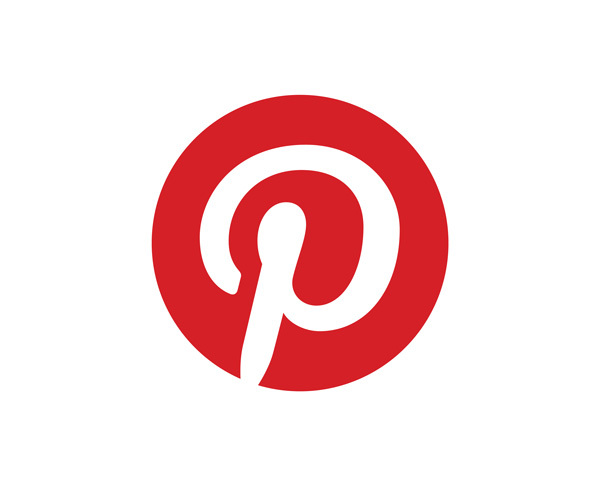 This was a post in the #52tech goal – to investigate and share one technology post once a week for 2014. You can find all the posts indexed via the #52tech tag, or top menu option at huntingdownwriting.wordpress.com. Thanks, Nathan. Glad the wordpress template I’ve chosen lately has a nice mobile presentation like that, especially considering I like to include a lot of graphical components to the posts. Hope you find something useful. DBook uses Markdown too and i really enjoy this simple markup. It is so easy to learn. mention that I’ve truly lovved browsing your blog posts.